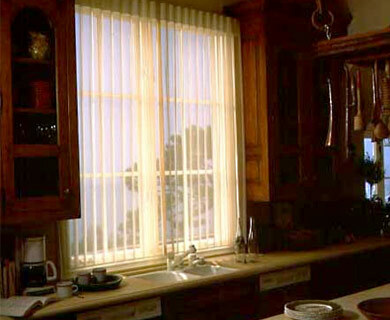 This kitchen treatment features Luminette Privacy Sheers, which are designed to fit virtually any application. They are available in center or side draw. Side stacks may be specified to draw open to the left or right side; split stacks draw open to both sides equally.